Mackerel is referred to as ‘chub mackerel’ in the Springtime, when egg laying has ended (after the Obon Festival in August) and the mackerel has lost a lot of fat. It is said that brides who are married in Autumn should not eat mackerel harvested that season, as it’s extremely fatty around this time of year. In Winter, it’s simply referred to as “cold mackerel”. On the other hand, mackerel is referred to as ‘gomasaba’ in Summer, the most popular season for eating mackerel, when the fish is about 1 year old and the fish is not too fatty but has retained its flavour. Primary Fishing Locations: The largest catch recorded in 2014 was in the Ibaraki Prefecture, and in the same year Tottori Prefecture consumed the largest amount. 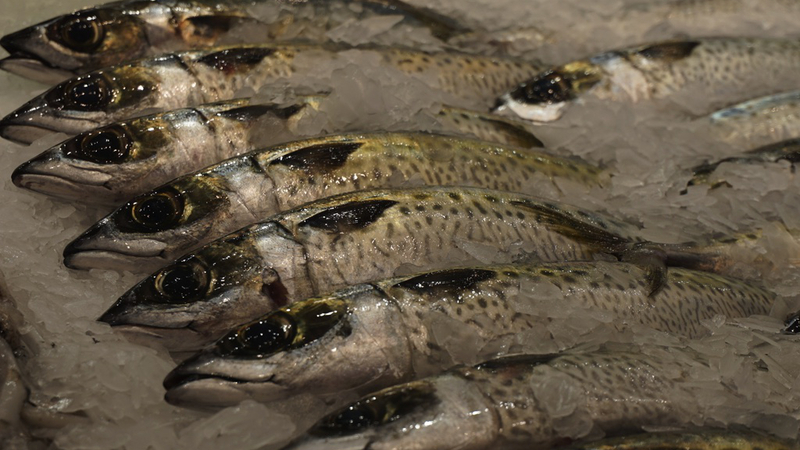 Within Australia, mackerel is commonly farmed in Southwest NSW, Western Tasmania, and South Australia. The Japanese name for mackerel comes from the Chinese characters for “small teeth”. It’s said the name comes from comparing the overall size of the fish to its relatively small teeth. Mackerel is one of the most familiar ingredients for Japanese people. Variants like chub mackerel are also common in Japan, but in Australia there is generally only blue mackerel. Blue mackerel has dark flecks on its belly, and its cross section is quite round which has earned it the nickname marusaba which means “chubby mackerel”. In Tosashimizu, Kochi Prefecture, Tosa Shimizu Sabal is quite a famous brand, especially between Autumn and Winter when the mackerel is fatty and full of toro (a particularly sort after quality of fish thanks to the fat content, usually eaten as sashimi). Another famous brand from Yakushima Island in Kagoshima Prefecture, which was designated as a world heritage site, is called Kubiore Saba, which translates to “broken neck mackerel”. The name originates from the Japanese method of killing fish which is to cut the neck and drain the blood out, and this keeps the flesh extremely fresh even after death. Fish from this area are not as fat but the texture is characterised by a crunchy firmness. The phrase saba no ikigusare is used to describe mackerel which looks fresh but has actually gone bad. This can happen when the fish is taken out of water while still alive, causing distress and pain to the fish. Because of this, take care to inspect the fish when looking to buy, making sure the fish not only appears fresh but actually is fresh. However, even if you do have the misfortune of a not so great piece of fish, it’s difficult to get food poisoning from blue mackerel, and it is safe to eat raw. Another common phrase is saba wo yomu (read the mackerel) is used to say that the age or numbers are deceitful. The theory of the origin of this maxim is that there are many, many mackerel, and the longer that workers take to process each fish causes more and more distress to them, so they work quickly and the rush allows for a lot of mistakes to slip through. To cover up any mistakes, the shopkeepers “talk fast” to get people to distractedly buy the fish before they look into it too much. Vinegared Mackerel: remove bones from three pieces of mackerel, generously coat in salt then wash it off. Repeat with vinegar. Eat as sashimi with your preferred amount of soy sauce. You can also use it as a sushi roll filling. 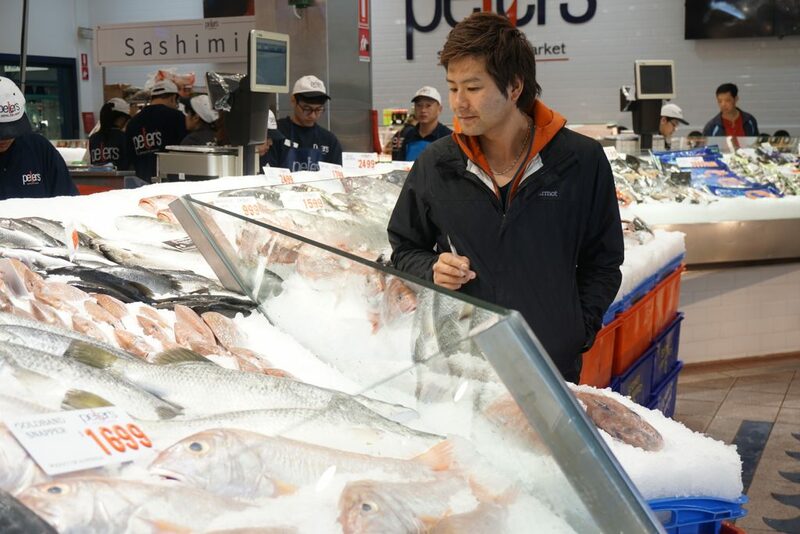 Sashimi: If the fish is super fresh, just slice it and eat it raw. flavourings such as mirin, soy sauce, miso, and sliced ginger. Eat with boiled rice to balance the strong flavours. Grilled with salt: Sprinkle salt over the mackerel and grill. Delicious when eaten with grated ginger.